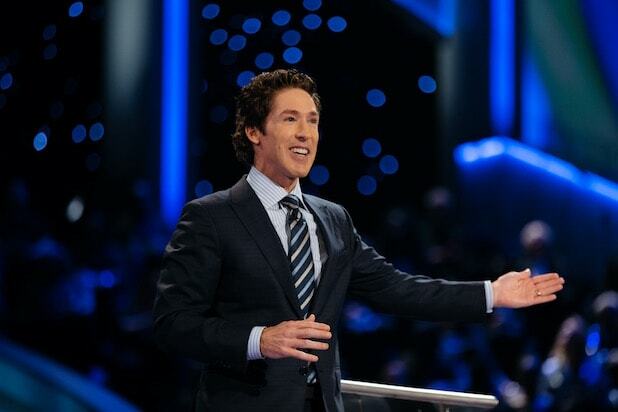 Following a wave of criticism that made his name the top-trending item on Twitter, Joel Osteen finally opened his Lakewood Church in Houston to people displaced by Tropical Storm Harvey. A Lakewood Church spokesperson told ABC News Tuesday its doors have always been open and the church was waiting for city officials to designate it as a shelter. But in a statement Monday, Lakewood said it would only receive people once “cities and county shelters reach capacity,” which resulted in even more backlash. The criticism increased after the Twitter account belonging to Osteen began blocking people who asked why the church wasn’t opening its doors. With much of the Northeast of America expected to be snowed in by a brutal blizzard on Tuesday, its the perfect opportunity for East coasters to catch up on some of the amazing TV shows they've fallen behind on. 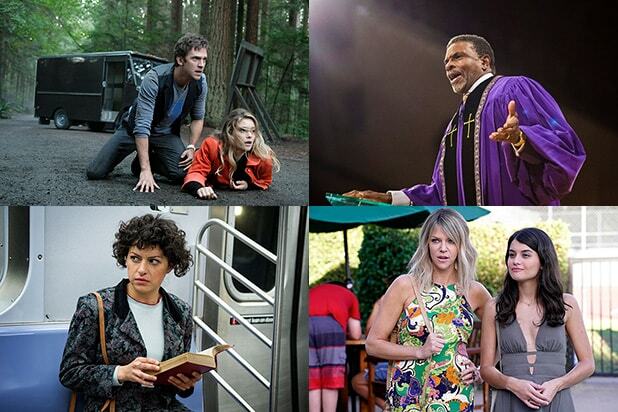 Here are 11 great shows that are available to stream rather than facing the snow outside. One of the last shows released in 2016, "Search Party" caught the attention of critics who applauded the show's smart social commentary and engrossing central mystery. The TBS comedy flew under the radar with viewers when it premiered, but the entire (excellent) first season is available to stream on the TBS website. Dan Fogelman's tearjerker of a family drama "This Is Us" wraps its first season on Tuesday, with what will surely be an emotional hour. For those who haven't been watching the biggest freshman hit of the season, all 17 episodes so far are available on Hulu, meaning an ambitious viewer could conceivably catch up in time for the finale. "It's Always Sunny in Philadelphia" is currently on an "extended hiatus," but fans of the show can get a similar dose of reckless debauchery on Kaitlin Olson's Fox comedy "The Mick," which also features a stellar ensemble cast including Carla Jimenez, Thomas Barbusca and "The Night Of" alum Sofia Black-D'Elia. Adapted by "Fargo's" Noah Hawley, "Legion" is unlike any other Marvel series out there. The Dan Stevens-led drama is a highly stylized and occasionally whimsical take on a superhero TV show, and for those who aren't into the earnest cheese of The CW's Berlanti-verse or Netflix's often dour "Defenders" franchise, "Legion" could be a welcome alternative. Adult Swim has just resurrected Genndy Tartakovsky's "Samurai Jack" for a fifth and final season nearly 13 years after if first went off the air. Critics have raved about the series since its return -- it currently holds a 94/100 rating on Metacritic, indicating "universal acclaim." For those who aren't familiar but want to see what all the fuss is about, the first four seasons are now streaming on Hulu. With the powerhouse trio of Reese Witherspoon, Nicole Kidman and Shailene Woodley at its center, "Big Little Lies" takes the "Rich People Problems" genre to new heights. As of Sunday's episode, the show is halfway through its limited seven-episode run, meaning there's four episodes of beautiful Monterey, California, scenery on HBO Go waiting to distract you from any inclement weather. Showtime's "Billions" recently returned for Season 2, and potentially made history by introducing a gender non-conforming character named Taylor. Played by "Orange Is the New Black" alum Asia Kate Dillon, who also identifies as gender non-conforming, Taylor adds an interesting new dynamic to the show's hyper-masculine Wall Street setting. "Veronica Mars" diehards are surely already aware of creator Rob Thomas' follow-up series, but for the most part, "iZombie" remains one of the most underrated shows on The CW. The comedic drama returns next month for a fourth season of quippy dialogue, brain-eating police work and zombie-human romance. It's been less than seven months since "Greenleaf's" first season finale aired last August, but it's already set to return on March 15. Along with Ava DuVernay's "Queen Sugar," the drama about a Memphis megachurch has helped make the network a serious player in the scripted field, so it's not hard to see why the network is moving a second season so quickly. All of Season 1 is available to stream on Netflix. ABC's Emmy-winning anthology series "American Crime" recently premiered a third season about migrant workers in North Carolina. The first episode is only available to stream on ABC's website with a cable subscription, but the show's first two installments are on Netflix and must-watch viewing for fans of good TV. For a while, "The Great British Back Off" ("The Great British Baking Show" in the U.S.) was a phenomenon in the U.K. But once it made the jump from BBC to Channel 4, several of the show's hosts and judges quit the show in protest, disappointing its legions of fans. But it's still possible to relive the magic -- for a while, at least -- by streaming the three seasons currently available on Netflix.